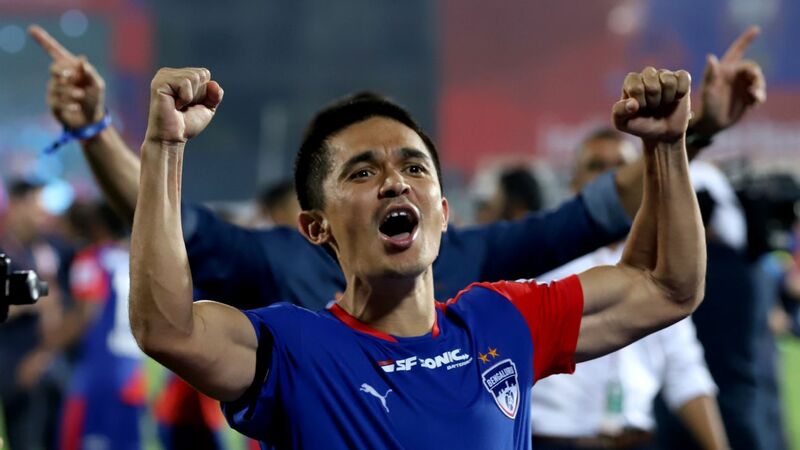 Sunil Chhetri has won seven top-level domestic trophies in his career -- winning laurels all around throughout as he went about quietly becoming the best footballer in India. Even for such a decorated veteran, Bengaluru FC's victory over FC Goa in the ISL final on Sunday was special. "It's right up [there]," he said. "It's number 2. Probably the first one will be the final against [Air Force Club, Iraq] in Doha in the AFC Cup. After that, this is the win, man," he said with a smile that lit up the small press conference room in the Mumbai Football Arena. A large part of the joy stemmed from the narrative arc of redemption -- having dominated the league stage last season, they'd lost to Chennaiyin in the final, and, Chhetri said, the team had been "determined not to let that happen again." "You know what, when they asked me in the interview(s) [after last season's final loss], I said 'next year we are going to come back'. From that day, we didn't speak about it, but everyone knew that if we take it one day, one game [at a time], eventually we are going to reach [here]. We wanted to give ourselves a chance. 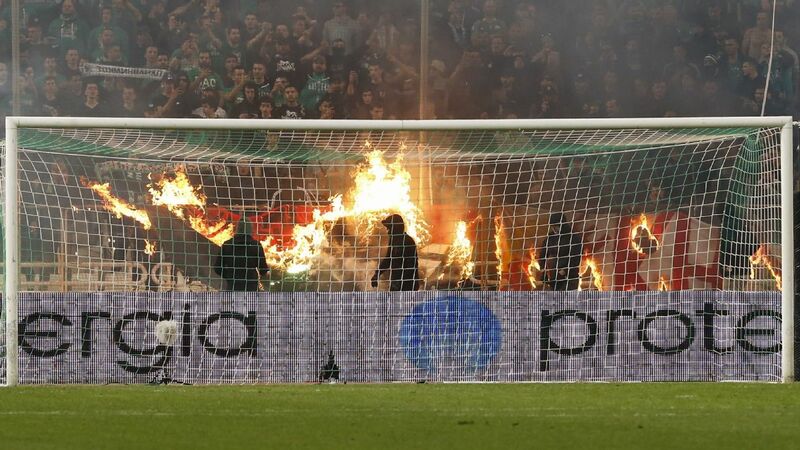 It was not easy, and everyone - right from here to the ballboy - everyone wanted this. So all the planning, and resting the players, and missing out on Erik and missing out on Miku and all the stuff, everything... we wanted to win this badly, man. When we lose the final the way we did last year, this is sweet," he added, pausing to soak it all in, to savour the triumph. Then, suddenly, something clicked -- and with a loud bang on the table in front of him, eyes burning with the desire to tackle another challenge, he declared, "and you know what Asia? We are back." Chhetri didn't become the player he became by resting on his laurels and in this non-stop pursuit of glory. What a footballer like that needs is a manager who shares that mad zeal. Well, if the video of Carles Cuadrat giving a post-match celebratory speech shared by Bengaluru FC is anything to go by, he might just have found the perfect coach to work with. "I was on the road to be the first coach in the history of Bengaluru [FC] not to win one title in a season, because all the rest, before -- five seasons, five titles. But now, guys, we are only four games away from getting two titles!" you could hear him say, as he referred to the Super Cup that was going to start in ten days. It was barely an hour after his first season as head coach had ended in triumph, but there he was, convincing his players that there was more success out there for them, that one is not enough when you can have two. As the press conference winded down, a final question was put to Chhetri - Albert Roca and Carles Cuadrat; what's the difference? "When you sit with them and talk football, you know they both have the same mentality. Yes, their way of doing stuff is slightly different. I can't call it a vast difference - and that's why we were very happy because we didn't have to learn something new in school." "When we went to school this year, everything was more or less the same, but he [Cuadrat] had his own minute detailing," he said, before ending the night with a laugh -- "Of course, [Roca] didn't win the league, [Cuadrat] won it, that's the difference."